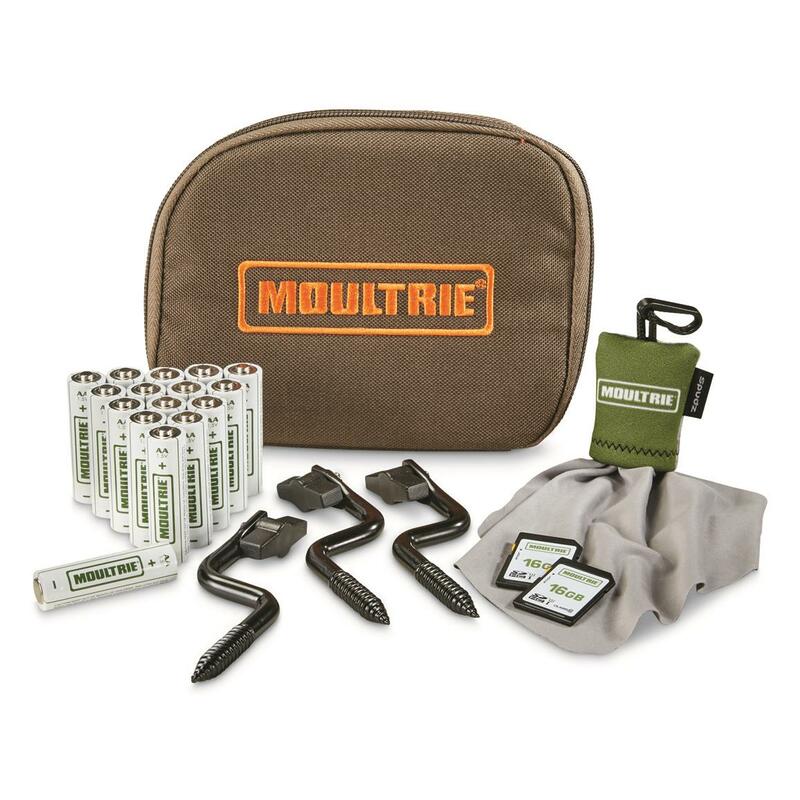 Everything you need for scouting success. 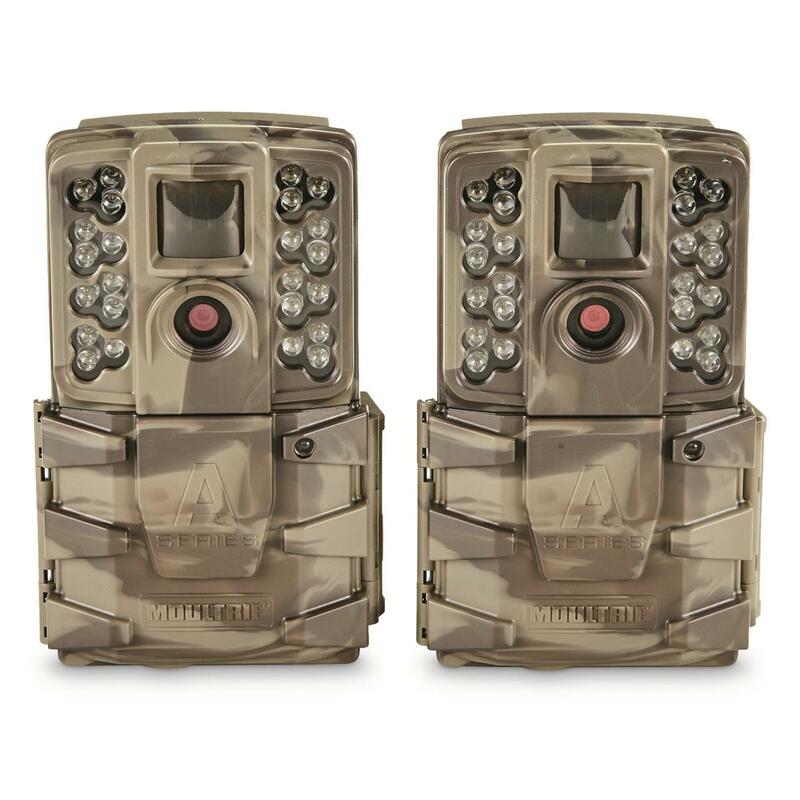 Includes (2) Moultrie A-40 Pro Trail Cameras, (2) 16GB SD memory cards, (16) AA batteries, (3) Moultrie EZ-Tree Mounts, SD Card Storage Case and cleaning cloth. Outfit your hunting property! 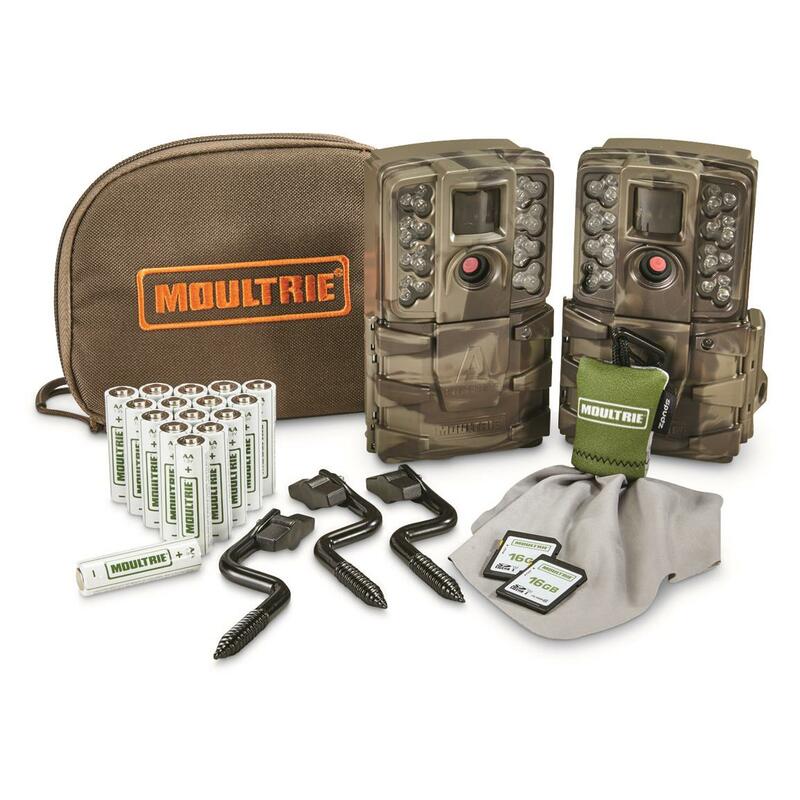 The Moultrie A-40 Pro Trail Camera Bundle Sets you up for hunting success with two A-40 Pro Trail Cameras and all the accessories you need to start scouting right away. Moultrie A-40 Pro Trail/Game Camera Bundle is rated 5.0 out of 5 by 1.